I have lived in New England for all of my adult life and quite a bit of my childhood. Although I should be used to the return of cold weather, it always is jarring. Not unexpected but just an unpleasant reminder that we live in the north. The thing is that I am one of those people whose toes are perpetually cold. Even in the summer I need socks at night. So, when the weather is at or below freezing for months, my body doesn’t appreciate it. So, with my general disdain for frigid weather, you would think that I don’t like where I live, but I do. For me, I love the sight of snow falling and even covering our yard. Why would I want to look at a yard of brown? Dormant, trampled grass; bare tree branches; perennials cut back to their bases. Yes, I do love the sight of snow gracing our lawn, shrubs, and more. The other complaint that I hear frequently is how early it becomes dark in the winter. Although the sun doesn’t set until 4:15, dusk settles in before four. Combine the cold and darkness, and many New Englanders are unhappy. However, what I love about that combination is the coziness inside my house. 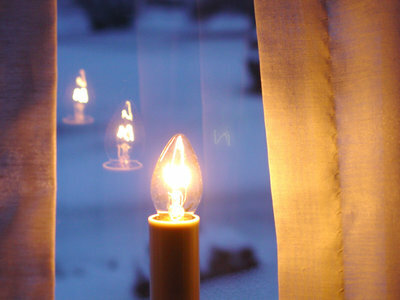 Early sunset means that I plug in the window candles even earlier. Start the fireplace, light a candle or two, and spend the evening snug and warm inside. To my fellow northerners, I hope you find a way to enjoy the chilly and dark time of year. To those of you in warmer climates, have fun wearing flip-flops year ’round! This month’s featured team member actually just finished his tenure at PeKu. That is because Sean Fesko served as our Communications Specialist intern and has completed his semester’s worth of work with PeKu. Throughout the fall Sean has been busy filling our social media channels with vibrant updates, writing press releases, and creating a fun new campaign. Please allow me to introduce you this fabulous intern. MPK: What was your favorite part of your internship at PeKu? SF: My favorite part of my internship at PeKu was being able to have a large role in the operations of the company. Being in charge of social media was a big responsibility, something that I’d had experience with in past internships but not to this extent. MPK: You created the #WheresPeku campaign. What inspired this idea? SF: The main goal I was trying to accomplish was getting more people to interact with the company on Twitter. People are always sharing what they’re eating, where they’re going, who they’re with, etc. and the new trend is to share those via selfie. 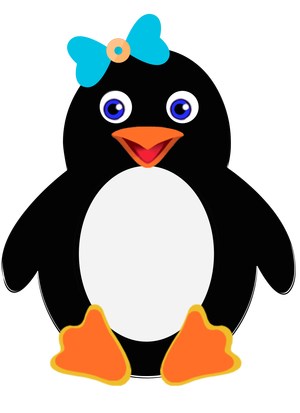 #WheresPeku seemed like a great way to take advantage of that trend, but also to flip it around so PeKu the penguin was the one sharing her life. Sending her out into the world with the help of our readers was a logical next step to get fans to interact with the company on Twitter. MPK: As a college student, have any of your classes helped you with the internship? SF: I have taken a couple of marketing classes that have helped me a bit, but the majority of my learning has come from outside sources, such as the books by Gary Vaynerchuk and past internships. MPK: What are your post-graduation goals? SF: Get a job! I’m leaning towards business development or marketing in the entertainment or publishing fields; if I could land a job in the NASCAR industry, that would be great! I’d also like to start my own business one day. MPK: What is a fun fact that our readers would be surprised to learn about you? SF: I wrote a novella in high school that two summers ago I expanded into a novel (almost 100,000 words!). I’m in the process of rewriting it and one day hope to see it published. Manchester, NH- PeKu Publications, in conjunction with Marfeel Solutions, has improved the display of their mobile websites. The partnership allows PeKu readers who browse on their phones, tablets, and other mobile devices a more robust and integrated reading experience. One of the unique features for the mobile website is the easy to use navigational bar that can be accessed on the side of the screen. It allows readers to quickly jump to topic sections within the website. For instance, on Your Parenting Info’s new mobile site, readers can jump to topics such as pregnancy, infants and toddlers, preschoolers, elementary ages, tweens, and teens. Barcelona-based web developer Marfeel Solutions created the mobile versions of PeKu’s twelve websites by seamlessly integrating the original content into a web application. Whether on a desktop or a smartphone, readers will receive the same high-quality articles. Readers can access all of the publications by visiting pekupublications.com. PeKu Publications is an emergent Internet-based publishing company, which is home to 12 niche properties, featuring content in 5 unique channels. For more information about PeKu Publications go to http://www.pekupublications.com or contact Michele Pesula Kuegler at michele@pekupublications.com. The entire month of December feels like a celebration to me. Between the assortment of holiday parties, the increased amount of baking, the multitude decorations, the sounds of Christmas music, and the holidays themselves, it feels like a non-stop party. At our house, the decorations came out the day after Thanksgiving. I’m all for celebrating Thanksgiving as its own event, but once it has had its due, I like to make our house festive. So, our windows have candles and our year round tree has multi-colored lights among many other pieces of decor. This month’s work anniversaries are fitting for the celebratory month. These two columnists provide us with cooking and holiday advice. What else could you need during December? Elizabeth Skipper, better known as Ask the Chef, has been writing for PeKu for three years! That means we have three years of cooking advice and helpful hints. If you have a culinary question, please submit it here. Tania Cowling, a columnist on Holidays Helper and Your Parenting Info, is celebrating her one year anniversary. Over the past year she has provided numerous DIY craft ideas for the young set along with many other holiday and parenting ideas. If you aren’t familiar with either of these writers, please take a few minutes and check out their latest work. They are sure to inspire! 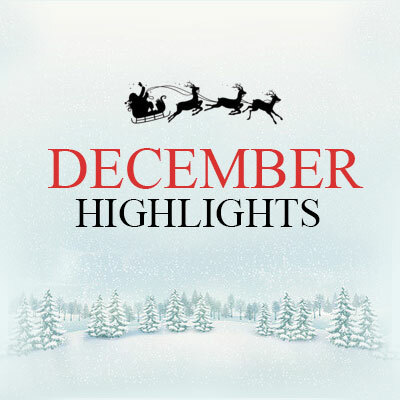 As December begins, many people are filled with the stress of obligations looming. Taking the perfect picture(s) for the holiday card. Finding the right gifts for everyone on your list. Making time to bake beautifully crafted cookies. Scheduling all of the extra holiday events, parties, and more. While I can’t reduce the number of places you need to be and the things you need to do, I can provide a few helpful hints. If you’re seeking some inspiration for your living room, kitchen, or front porch, stop by ‘Bout Home. This month we are dedicating all of our articles to the theme of holidays. Whether you’re looking for a simple DIY, or a few holiday themes, we’ve got the articles to help. Every week at Your Parenting Info we help with a variety of aspects of parenting, from behavior to school to communication, in all ages. Whether you’re newly pregnant or are raising a teen, we have advice to help. This month in addition to our regular columns, we also will be covering how to handle/enjoy the holiday season at every age. If you have your own advice to share, please be sure to leave a comment. Whether you’re looking for a craft to occupy your preschooler or a new activity for the whole family to enjoy, Holidays Helper has what you need. Starting in mid-November, we began with Hanukkah. During December we will provide helpful hints for Christmas, Kwanzaa, and New Year’s. Get your family celebrations started here! 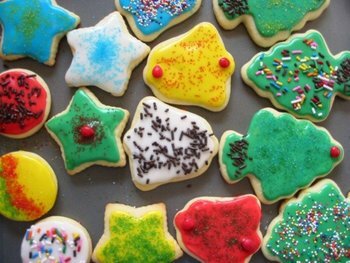 While we can’t do your cookie baking for you, we can help inspire you and your family during the holiday season. This week’s interviewee has been with PeKu since the very beginning with a little time off in the middle of his tenure. Joe Lawrence started writing for PeKu in July 2008. He wrote for us on a number of topics, including politics and parenting, until January 2011. At that point, he took a two and a half year hiatus to focus on his family and career. We were delighted when he returned in September 2013. Since that time he’s been writing about fitness, and next month he will return to writing about parenting. I’ll stop the intro here and let Joe share some insights. MPK: You wrote for us from July 2008 through January 2011 and returned in September 2013. Did you write on your own during your hiatus? JL: I did write quite a bit during this time away; however, most of it was academic. I took this time to pursue my Master’s in leadership and management and that consumed my creative juices. Although, writing is a passion of mine and I was able to draft many articles on leadership, faith, and aircraft production principles that I have not posted anywhere. MPK: n 2008 you wrote “MMA Is Boring” on Buzzer Eagle, which received many comments. Do you still participate in or watch MMA? JL: Martial arts was my first true love. I have been studying many differing styles since I was four years old. I still follow MMA and just about anything else involving martial artists. I do not practice MMA at a club, but I used to train with a team to help them with their stand-up before my daughter was born. Once my children are big enough to get involved in martial arts, I want to join a school once again. MPK: You have mentioned that you are a member of the US military. How do you find time to do that, be a father and husband, and write? JL: Good question. I am still trying to figure this one out! When I am at home, I try to give my undivided attention to my family and refuse to talk about things going on at the base. My wife and I still share a few events from our day, but just the highlights. We try our best not to let work stresses bleed over into our time together. Being a member of the profession of arms is quite demanding and I have spent almost two years of my five-year old daughter’s life in varying deserts or military schools. I know at anytime I may have to leave again and want to make sure my family knows how much I care about them. As far as finding time to write, when you really love something you can make it work. I actually do a lot of writing on the note app of my phone while I am waiting on a meeting to start or when standing in line, etc and then add the finishing touches later. It is amazing how much you can do during these little breaks. I have written about five chapters of a fiction book this way, numerous Bible study articles, and I am working on a manual to consolidate the wisdom of my military mentors for my team. MPK: Your current assignments include My Fitness Tunes and Your Parenting Info. Do you like one more than the other? JL: No. I have always been a huge fan of the whole person concept and rarely pick favorites. My Fitness Tunes forces me to remember all the unorthodox routines I have been privy to over the years thanks to the military and 30 years of martial arts. It is fun to re-live those times and dust off these routines to keep my fitness regimen fresh. 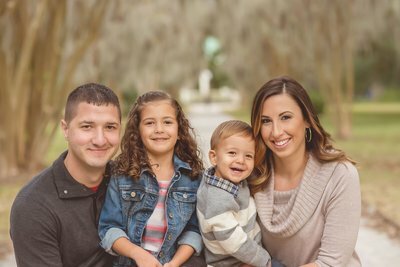 Your Parenting Info allows me to share my experiences as a parent of a five- and almost two-year old. This is the one area of my life where I still feel very inexperienced myself, and it is fun to learn from others and share what worked for me with someone who may be facing the same challenges. JL: I am not sure if this is a “fun” fact, but many people are surprised to learn that my wife, Brie, and I have been together since high school and actually were able to make a long distance relationship work while she was in college and I was traipsing the globe as a flying crew chief on my cargo aircraft. We have gone through a lot together, and I am still madly in love her!